It has been a while since I’ve posted a book review to this blog, but after finishing a couple new books this past weekend, I thought a few readers might be interested in this one. The 4 Percent Universe is a fairly typical “popular” physics book, namely one of the dozen or so books that gets published every year to try and simplify modern physics for the casual reader. Originally, I picked this book up based on a Wall Street Journal review that recommended it as an up-to-date assessment of current theory around dark matter and dark energy. For those of you who haven’t followed the progress on these topics over the past two decades, dark matter is a the common term given to the matter in the universe that we can detect due to gravitational effect, but can’t see based on any traditional form of observation. Dark matter, as it turns out, does not emit or react to photons, which are the basis of most forms of astronomic observation. Dark energy is the term given for the incredibly large volume of energy that has been calculated to exist in our universe, but that once again we haven’t been able to measure. Both are fascinating outcomes of the development of mathematical theories around cosmology that predict facets of our universe that have not yet been measured or observed. 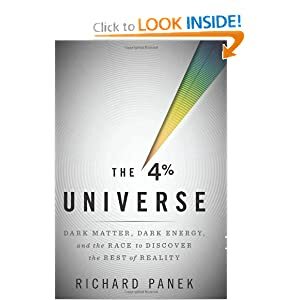 The “4%” in the book title refers to the fact that only about 4% of our universe is actually the traditional forms of matter and energy that most of humanity assumed was “everything” through the 20th century. What makes this book different than most is the style of writing. Instead of a chapter-by-chapter introduction and explanation of concepts, the entire book is presented as narrative, literally walking through the individual stories of the researchers and scientists who played different roles in discovering relevant theories and concepts. As a result, it’s a much deeper look into the politics and competitiveness between scientists and academics of different disciplines (math, physics, astronomy, cosmology), as well as the bare knuckles process of research, peer-review, and all-too-common resistance to data and/or theories that don’t conform to existing cannon. Personally, I found the first 150 pages or so fairly boring – too far in the past for me to really engage on the play-by-play discoveries that led to an acceptance of cosmology, big bang theory, and inflation. These are topics that Stephen Hawking covered fairly well in his books. However, the last half of the book really drew me in, as the narrative really took over in presenting the mounting evidence for dark energy, with explanations of key experiments and theories in the past decade (as recently as 2007/2008). As a result, I definitely recommend this book to those who fashion themselves “physics hobbyists”, or those who wish to remain up-to-date on modern cosmology. This past weekend, I had the chance to finish off three books that have been on my short list for a while. This post is a review of a fun one, How Starbucks Saved My Life: A Son of Privilege Learns to Live Like Everyone Else. Overall, while it has its faults, in many ways I gave this book my second highest form of praise: I’ve already loaned it out to two people. 1 star: This is a book so poor I basically decline to finish it. Since I tend to read almost compulsively, it really takes a terrible book to lose me like this. 2 stars: This is a book that I finish, but poor enough that I find that I’m not proud that I’ve read it. It gets hidden away on a low shelf, or packed away, or donated. I have no interest in reading this book again. 3 stars: This is a good book, and I’m happy to have it around to remind myself that I’ve read it. I tend to publicly display it on my bookshelves, although it’s unlikely I’ll ever read it again. 4 stars: This is a great book – so good that I actually find myself recommending it to friends with similar interests. I not only display it on my shelves, but I’ll actually actively loan it out to encourage others to enjoy it as well. Sometimes I will buy multiple copies as gifts for friends. 5 stars: This is a truly great book that actually connects with me. I can tell when a book is this good because I find myself coming back to it and reading it again, either in parts or in its entirety. Not many books fall into this category for me, but the ones that do are close to my heart. This book was 4 stars for me… I doubt I’ll read it again, but I enjoyed it enough to recommend and loan it to friends. A few things really. First, I actually enjoyed the character (the author). He offered me a legitimate insight into an anachronistic personality type – the Upper East Side aristocrat, raised in enough privilege to be completely divorced most of his life from feelings of economic insecurity. I might be biased here, since growing up on the west coast leaves me less tolerant of this type of character. Still, it’s fascinating to hear from someone who grew up meeting the truly famous and powerful, went to Yale and got a job purely on connections through Skull & Bones, and then had a full, successful career without ever really learning math or how to handle money. There is definitely some form of schadenfreude here. 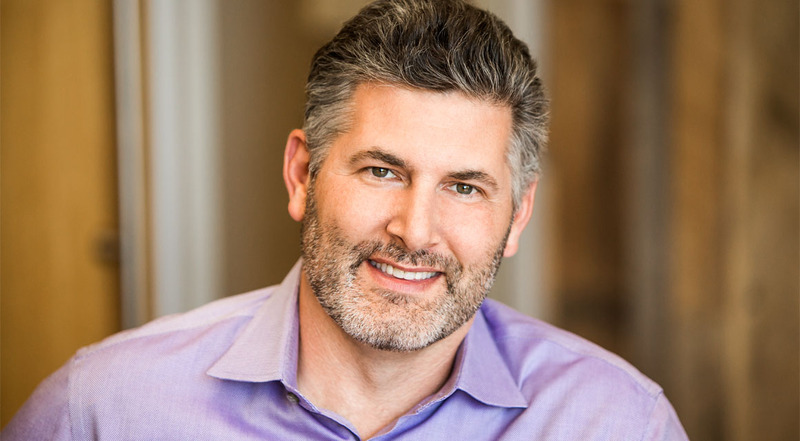 Second, despite the heavy-handed repetition, I enjoyed the basic epiphany of the journey – the realization that a supportive, friendly environment can in fact be a part of a great company and workday. Starbucks clearly comes from the west coast, modern style of company, but there is some delight in his simple realization that Starbucks offers health insurance, stock options, and a respectful & enthusiastic culture for its employees (nee, partners). Third, I thought there were some genuine personal economic insights here. You can be rich and “successful” your whole life, but without some attention to personal finance, you can find yourself in significant financial trouble in your later years. In this book, the author is laid off in his 50s, does some lightweight consulting for a while, and finds himself almost broke in his 60s. The additional fact that he has an affair which leads to an expensive divorce at this late stage is worth noting as well. There are very, very few people who are truly wealthy enough to be able to ignore the realities of managing your money. Lastly, I enjoyed a much more subtle point in the story. It’s the fact that, in the end, happiness in retirement has a lot to do with the availability of social interaction. For many lucky people, this comes from family & friends. In this case, the author has alienated much of his family, and as a result, he only discovers this fact through Starbucks. Truth be told, there is something meaningful about the idea that, even in “retirement”, it might be extremely rewarding to be in a job where your day-to-day involves friendly & respectful interaction with new people, regular customers, and a dedicated service team. The job offers him more than money, more than health insurance. It offers him goals, tasks, social interaction, and comraderie. It offers him purpose, and that is often underestimated in the most common misperceptions about what is important in retirement. This book will be tough to take it you react negatively to an overdose of corporate culture speech and repetition. The author talks about “partners” and “guests” and “respect” almost relentlessly. He also glosses over the details of anything negative – his entire affair, divorce, and illegitimate child get mere paragraphs. Cleaning the bathrooms at Starbucks get pages. 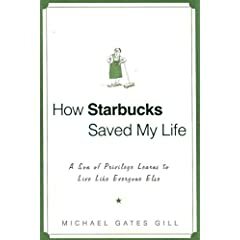 This is book is mostly about his experience at Starbucks, and you could get jaded to it if you believe that this book is largely company propoganda. The great thing about this book is that it largely doesn’t overstay its welcome. It’s short and sweet. An easy evening read – small pages, large font. If you do read it, let me know what you think here in the comments. The links above will take you directly to Amazon, and the copy of the book that I ordered. John likes his Kindle. I love to read. I feel like I should be more excited about it, but I’m not. I think the problem is that I’m emotionally attached to my library. I surround myself with my books. They remind me of what I’ve read, and even in some cases, who I was when I read them. Unfortunately, while I’d love to flip through some of them more frequently, the physical form gets in the way. 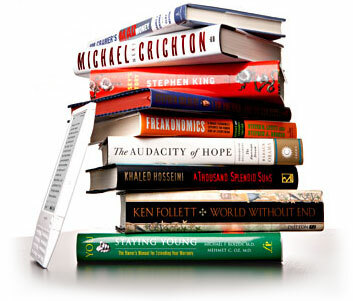 I know I would love to have all my books in electronic form, the same way that I have my CD library now on my iPod, or my DVD library on my AppleTV/Mac Mini. Let me send you my books. Yes, my physical books. When I send you them, give me download access to the e-book form, for my Kindle. Let me trade you my paper for electrons, in high quality form. Take my books, and either sell them through your marketplace, or donate them to libraries and schools. Spread them to others so they can enjoy them. If I could get my existing library converted over to a form for the Kindle, I’d gladly give you my future purchases. I can rip a CD. I can even rip a DVD. But I can’t rip my books. I’m guessing the royalties for the book publishers will be a problem. But likely not insurmountable. After all, there is some money on the table here, since the books can be converted into some small amount of dollars. And think of the marketing data you’d have on me once you knew in detail the hundreds of books I already own. How can you not get lost in Wikipedia sometimes? Here is their post on my favorite author, Isaac Asimov. I’m still waiting for the conversion to the World Season Calendar, with its 91-day months and its special “Year Day” and “Leap Day”. I’ve been thinking a bit more about the volatility in the financial markets over the past two weeks, and I’m uncharacteristically concerned. Something is bothering me, though, despite the fact that I am personally following all of the above guidelines (and more) with my personal investments. I’m worried that we haven’t internalized the warning of the Long Term Capital Management bail-out in 1998. Like the World Trade Center bombing in 1993, we may be unprepared for what that failure really signified. As usual, Wikipedia has all the good detail on what happened with Long Term Capital Management. A hedge fund made up of literal Nobel Laureates and masters of financial risk, it utilized incredible financial leverage to take what should have been extremely low-to-no-risk opportunities and turn them into phenomenal investment gains. Unfortunately, in August 1998, some of those low-to-no-risk opportunities went in historically unpredictable ways, and Alan Greenspan had to orchestrate a multi-billion-dollar bailout from some of the large New York investment banks. The profits from LTCM’s trading strategies were generally not correlated with each other and thus normally LTCM’s highly leveraged portfolio benefited from diversification. However, the general flight to liquidity in the late summer of 1998 led to a marketwide repricing of all risk leading these positions to all move in the same direction. As the correlation of LTCM’s positions increased, the diversified aspect of LTCM’s portfolio vanished and large losses to its equity value occurred. Thus the primary lesson of 1998 and the collapse of LTCM for Value at Risk (VaR) users is not a liquidity one, but more fundamentally that the underlying Covariance matrix used in VaR analysis is not static but changes over time. Despite being a regular reader of the Wall Street Journal, New York Times, and the occasional Economist, I didn’t really understand what had happened until I read When Genius Failed, by Roger Lowenstein (one of the books I recommend in my personal finance education series). If you haven’t read it, I highly recommend it now. What Lowenstein explained and what I hadn’t originally appreciated is that the fundamental problem with Long Term Capital Management is a fundamental problem surrounding all of our modern portfolio theory, whether you are a small investor like me or the largest endowment. The problem has to do with asset diversification and how it is practiced. Portfolio diversification has become the basis of all modern investment management. The idea is to diversify your investments across asset classes with different risk factors and returns, ensuring the highest reward for the lowest risk. For most investors, this was as simple as the traditional mix of stocks, bonds and cash. But that changed in the late 1990s. In the late 1990s, all of a sudden, everyone wanted to be David Swensen. David Swensen was the manager who guided the multi-billion dollar Yale endowment to phenomenal returns from the 1980s through the 2000s. He even wrote a book. David made these phenomenal gains by eschewing most traditional types of assets (public stocks & bonds). Instead, he invested in hedge funds, arbitrage, private equity, venture capital, real assets, and others). What David realized early was that you could think of many types of invesments as asset classes, and find great investment returns in non-traditional classes with risks that were not correlated to the public stock market. This decade has seen an amazing boom in investment tolerance for non-traditonal asset classes. People freely talk about how different new investment assets have a “low correlation” to the stock market. Real estate, commodities, rare coins, art, collectibles, long/short funds, you name it. As a result, across the world, trillions of dollars are now factored into different asset classes, prudently distributed to minimize risk and maximize reward. This would all be fine except for one thing. And it’s the one thing that more than anything led to LTCM’s demise. You see, you can take two things that historically have not been correlated. Asset A & Asset B. But the minute that an investor owns both A & B, there is now a correlation that didn’t exist historically. The investor is that correlation. If Asset A goes down, and the investor needs to sell something, they may now turn to Asset B for liquidity. And that means selling pressure for Asset B, based on nothing but the asset price of Asset A. Voila, correlation. All of those historical models don’t apply once investor behavior starts changing in mass. Maybe stocks & gold never traded together historically because the type of investor who bought gold just wasn’t the same type who bought stocks. But now, in the modern world of portfolio theory, everyone has balance. Everyone has a little of everything. OK, ok. Not everyone. But I’m worried that enough major players do that we have created historical correlation that didn’t previously exist. That correlation is risk, and it’s risk that is not built into the models of all of these portfolios. What’s worse, those historical models lead investors to believe that they have less risk on their books than they do have, which leads rational investors to introduce leverage into their portfolios. That means when the risk shows it’s ugly head, the results get magnified by the leverage of loans. That’s what happened to LTCM. Their models were excellent, but they were based on historical correlation. The minute some of their investments turned the wrong way, their incredible leverage forced pressure in previously uncorrelated investments. What’s worse, other investors, smelling the “blood in the water”, discovered this new-found correlation, and pressed trades against them. So, this scares me a lot, at least intellectually. There are very good reasons why major investors like hedge funds and other asset managers can’t share their up-to-the-minute holdings. That means, however, that no one really understands this type of “co-investment risk” that is building in mass across the markets. Unfortunately, the only way I can imagine to properly handle this risk would be to have a universal monitoring set up to accurately reflect this new type of correlation from mass “co-investment” across assets. I’m still being a prudent investor. I still diversify my portfolio for retirement across different assets. Domestic & International, Large caps and small caps, stocks, real estate, commodities… even a long/short ETF. I don’t think I’ve sold anything based on short term movements of the markets. I’m sticking to my long term plans. But I’m a little worried now. Intellectually, it seems like the capital markets have potentially a major risk/reward pricing problem in them right now. And these things tend not to resolve themselves quietly. BTW Many thanks to Igor, for asking me over dinner last week what I thought of the market volatility, and leading me to think more deeply about it. Just one more day until Harry Potter and the Deathly Hallows is out. The original post on the book is still this blog’s most viewed page, and is soaring in page views daily. I’ve had my pre-order in with Amazon for over three months… and yet I am still considering going down to Borders at midnight on Friday. Yes, it’s a sickness. The net is full of leaked pages, scanned images, quotes and comments. Harry Potter 5: The Order of the Phoenix… Tuesday Night! In a bizarre twist, I have been given tickets to the opening of Harry Potter and the Order of the Phoenix on Tuesday night, midnight, July 10th. I don’t think I’ve seen a movie this late since I became a father, but I’m going to try. I’ll post here a movie review on Wednesday.